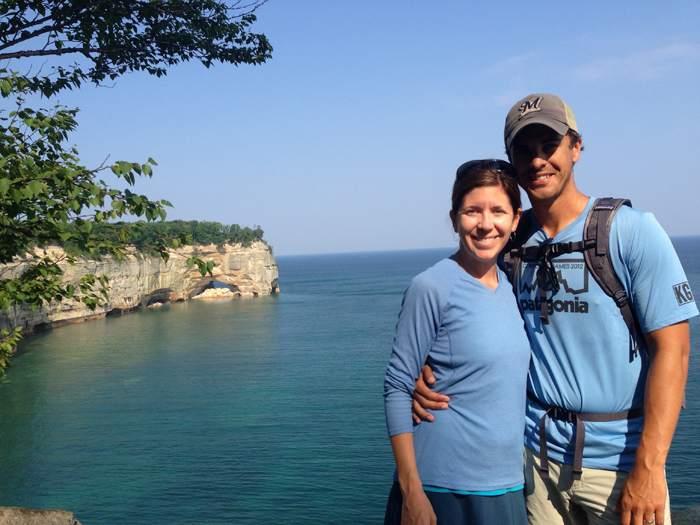 We were on a hike July 5th along the ridge of Lake Superior. We got an early start since it was a 10 mile journey with my sister, brother-in-law, and Mark. It was a beautiful morning and a sacred spot bringing back memories of this exact hike that I did with my dad 5 years before. After a few miles into the run - a waterfall, and taking in the huge pine tree balancing on a rock with its roots connecting back to the mainland, I took off my long sleeve shirt to discover and bump in my lower armpit. I knew this was my lymph node and I knew this wasn't good. Fast forward through vacation - tests - biopsies - waiting - more tests and more waiting...and 10 days later we received the news. It was 4:30 on Monday 7/15 and Mark and I waited silently in the waiting room. We had prepared for this and spent the weekend before researching options if indeed we received news that I had cancer. We were prepared as we could have been. I was naive to think that I would ever be prepared emotionally to hear the words my doctor said when she came into the room. "Well, your BRCA genes are doing exactly what they are designed to do...you do have breast cancer"....what? am I dreaming? It couldn't sink in - I just stared at Mark looking to him to save me from the trapdoor that just opened beneath me. What? me? I'm only 34....my babies...how did this happen? That was the worst day of my entire life. We walked out of the office - through the parking lot. I'll always remember how the light looked golden on the palm trees and how the wind felt on my face as we walked. I held Mark's hand as a lifeline as he gently pulled me through the parking lot to the car...and then our lives changed forever.